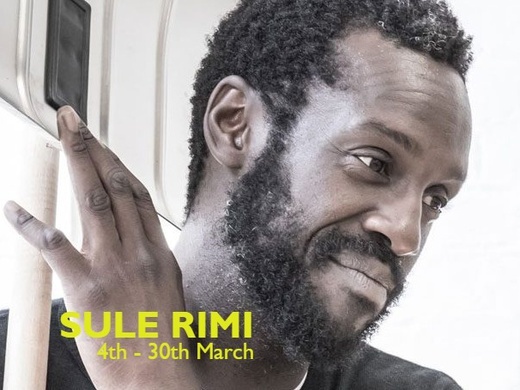 Sule Rimi is on stage at the Old Vic in The American Clock a play by renowned playwright Miller. The actor who studied Law was enticed by acting when he was at university and got involved with the drama department. His recent acting credits include Black Earth Rising, Strike Back (2010) and Stella (2012). He plays Arthur Robertson. We caught up with the actor to talk shop. AA: And can you tell us a bit about the character that you’re playing? SR His name is Arthur Robertson a self-described a corporation director and investment genius and basically, he acts as the narrator for this huge epic story Arthur Miller is trying to tell about which according to him are his own memories of the Great Depression and are also supposed to be based on testimonies of those who lived in that time. He gives you an insight into the characters and the scenarios coming up in the play. AA: What do you like about playing this character? SR: I like him because he kind of flips in and out of reality in the play. He acts as a guide, a fly on the wall, the eyes of the audience and the thought of the audience. Also, I wanted to play an American for a while and one that has a lot of stage time (laughs). He is someone who has seen it all and experienced everything in the Great Depression and the fall out afterward. AA: The American Clock is set in the late 20s/30s, how does it resonate with now? SR: It seems to me like a cycle, that keeps repeating itself in terms of how we deal with economic and political conflict. We seem to being going around in cycles there seems to a theme of us playing with our future and not learning from past mistakes, a cycle of us treating our future carelessly and when get into trouble to the point where we go into recession everyone suffers financially. In the play there is a pattern of economic downfall and people not knowing what to do and that seems to repeats itself time and time again and decades go by. And when this situation occurs, we are trusting in our leaders to protect us. AA: And what can we expect from this version of American Clock under the direction of Rachel Chavin? SR: I don’t have much comparison as I have only seen this version. It is actually quite a weird situation I have not been working with Rachel I have been working with her capable and brilliant assistant Julia Locascio, Rachel had her time with Clarke Peters but by the time I took over the part she had to leave: so under her guidance I have been working with Julia Locascio so if Julia’s work is representation of of Rachel’s work, and what I have seen of the play which was under Rachel’s direction, it is quite a privilege. The experience has been wonderful, and Clarke also was generous with his time. And it’s a unique way to work because I could see what I was supposed to be doing by watching Clarke and I could see the questions that he had asked already. AA: You mentioned doing an American accent, you also played an American in Sweat, what are the challenges an actor faces getting it right? SR The main tip I would give is not be nervous about doing the accent I know in the past when I wanted to do an accent I had been super nervous about doing it, it is the main tip I would give because that becomes very restrictive. I am quite lucky when I was growing up I used to watch a lot of American movies so I was exposed to a general standard sort of American accent but the challenge is there is so many dialects, so many variations from Boston to New York. You should trust yourself and there is the help of a good dialect coach. AA What do you like about being on stage? SR: Perhaps that there’s nowhere to hide. You must act yourself out trouble that is something you are not taught. When you are in front of an audience you can see the effect you have on people, when you make them laugh and make then cry. AA: What was your first professional job and how did you get into acting? SR: My first professional job was on TV called Tracy Beaker but I never really training as an actor. During my degree I was quite involved in the drama department and because I was so interested, they let me sit in on a few lectures and they let me audition for their plays. When I graduated one of the lecturers in the drama dept said to me I really hope you stick at it and he also give me a number for a casting director. In an American society governed by race and class, we meet the Baum family as they navigate the aftermath of an unprecedented financial crisis. The world pulses with a soundtrack fusing 1920’s swing and jazz with a fiercely contemporary sound, creating a backdrop that spans a vast horizon from choking high rises to rural heartlands.